How to share an email with my team? 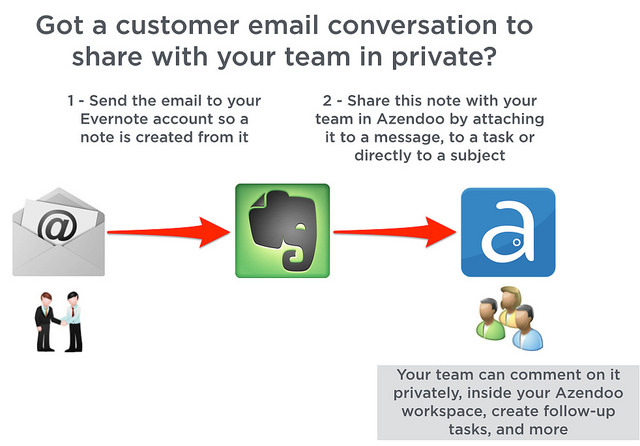 They can also be an important conversation with a customer that you may want to share in private, with just your teammates inside an Azendoo workspace. If you are an Evernote user, simply use your personal m.evernote.com email address that you can find at https://www.evernote.com/Settings.action to transform any email conversation into an Evernote note. This note can then be attached to any task or message inside Azendoo.